This Jangro Emergency Spillage Kit for Body Fluids offers a quick and easy solution for the removal of body spillages, combining the absorption power of Sanitaire with the germicidal and odour neutralising efficacy of Sta-kill. This handy Jangro body fluid cleaning kit comes in an effective all in one pack, containing latex gloves, a scoop and a tough disposal bag, so accidental body-spills can be cleaned-away hygienically and efficiently. 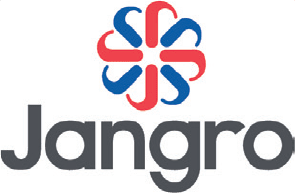 Our extensive range of Jangro products covers everything from bleach and stain remover to laundry detergent and fabric softener - essential cleaning products for commercial environments. If you have any questions about these Jangro supplies or about any of our first aid kits, contact the customer services team on 0117 934 1270.